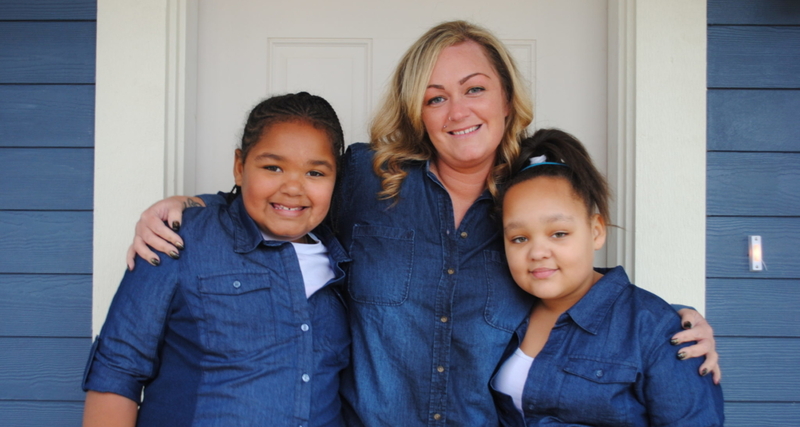 Six years ago, Clarissa – a single mom with two young girls – was working as an assistant manager at a convenience store. The job had no sick leave and no vacation. “It allowed me to get an apartment, but I wasn’t going anywhere,” Clarissa says. Then Clarissa’s grandma told her about Habitat for Humanity, and the door to possibility opened. One of Clarissa’s standout memories from her journey with Habitat is her first day of sweat equity – the required hours each Habitat homeowner gives to build their home. “To be out there working alongside people who are giving their time and energy – it’s the best feeling. I couldn’t stop smiling,” says Clarissa. I know that feeling well. As a founding member of the volunteer Women Build team, I have spent countless hours on Habitat build sites, working shoulder to shoulder with homeowners and volunteers. Women Build started at Tacoma/Pierce County Habitat for Humanity in 2002 and over the years, I have worked with hundreds of women on site – from novices to experts. Every summer a series of volunteer days are allotted specifically for Women Build and it is one of my favorite times, as women from all walks of life come together to make a difference in the lives of women like Clarissa. 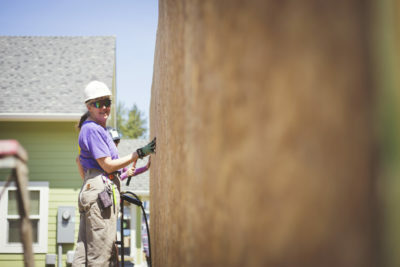 Women Build not only worked on Clarissa’s Habitat home – we had a hand in making it affordable. As a partial house sponsor, Women Build helped to fund the “sticks and bricks” it took to build Clarissa’s home. More than 60% of the future homeowners in Habitat’s pipeline are women heads of household. These prospective homebuyers, like Clarissa, are hardworking, single women, striving to create better lives for themselves and their children. In celebration of International Women’s Day, we couldn’t think of a better time to celebrate these amazing female heads of household and the rich tradition of Women Build.